Whenever I see priest wearing a Roman collar it reminds me of Jesus Christ. Not because I think the priest is perfect and sinless but because, in his vocation, the priests always points to Jesus Christ. That collar is a beacon of light for me. And it makes me sad that so many priests choose not to wear one “except when they’re on duty.” To begin with, the priesthood is a vocation and not a 9-5 job. There is never a moment that the priest is not a priest, both in this life and the next one. It’s like biological fatherhood: it defines you forever. You really DON’T get a day off. Sure, there are those times when wearing your collar might not be appropriate. Like when you’re sleeping. Or scuba-diving. Or getting a hip replacement. But if you’re making a run to Target for cat food and toilet paper then wear your collar. You never know who might see you and think of Jesus. Maybe for the first time in a very long time. When I see a priest wearing a collar it reminds me to be thankful for all those men over all those centuries who have answered the call of God and dedicated their lives to the service of His people. I’m reminded of all the sacrifices they made: of material wealth, of the comfort and love of a biological family, of independence. I think of the martyrs of our Catholic faith who were killed because they were deacons or priests or bishops. Without priests there would be no sacraments. Without priests, we could not receive the Body and Blood of Christ in the Holy Eucharist. I’m grateful to every faithful priest for bringing Jesus to His Church at every mass. When I see a priest wearing a collar it reminds me to be joyful. Yes, I’ve known my share of crabby old (and not so old) priests. After all, priests are as happy or as crabby as the rest of us. But the joy of our Christian journey comes from sharing in the good news of the Gospel. Christ died to save us. Christ rose again to conquer death. God is love and mercy. And the joy that flows from that good news calls us to give our lives back to the One Who made us. Priests do that in a remarkable way in their vocation of service and love. That circular collar they wear, like the circle of a wedding band, embodies the endless love and commitment of a life’s vocation. Their collar is at once the yoke of Christ and the true freedom that comes from saying “yes” to God’s will for his life. And in that is joy. I know that in and of itself, the collar is just a symbol. The priest is just as much a priest in his civvies as he is in his clerical clothes. But symbols are important! Think of the bishop’s ring, the vestments worn at mass, the chair in the cathedral, a holy card, a medal, a lighted candle or any of the other images or reminders of our faith. They MATTER. 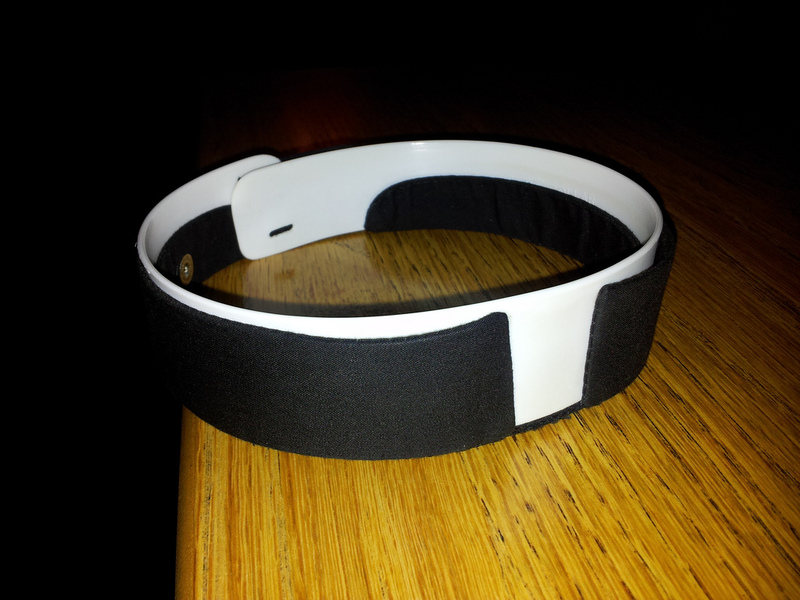 Some may think that wearing a collar is some kind of barrier that sets the priest apart from the people in the pews. Father is so much “cooler” in jeans, etc. I disagree completely. That collar is, for me, a wonderful connection within the Church, binding us all together in a world that is forever seeking to tear the Church apart. That collar says: “Be at peace. I’m your priest and we’ll get through this together.” That collar makes the priest somehow bigger than himself. Not in a powerful way, but in a way that invites a hurting world to approach God’s mercy seat. That collar can be a doorway to repentance and reconciliation for someone who may have been away from the Church for many years. What a privilege for the priest who wears it. Yes, I know black clothes are hot in the summertime. And that collar only makes things worse. I know that some of you have been called names and been made to feel uncomfortable and perhaps even ashamed when you wear your collar in the world. Since the abuse scandals, being a priest has had added crosses to bear. But the last I checked they aren’t executing priests in America. Surely the burden of wearing a collar is worth it anyway. You see, Father, we need you to be there for us. We’re fighting a battle here in this life and when we look around on the battlefield we need to be able to identify our officers. We can’t ask you for confession if you’re in your golf shirts and khaki shirts. But in your collar, you’re an occasion of grace for me. When I see you in your collar I feel a little less alone, a little more joyful, a bit more grateful and a lot more likely to examine my own relationship with Jesus. When you put on your collar in the morning and walk out into the world, you say: “God matters more than I do. I choose to do His will for my life. I’m here to serve the people of God. Won’t you join me?” Amen, Father. And thank you. Judy, wonderful post on the beauty of the Roman collar. I remember reading years ago about the faithful Poles coming to the churches on Sundays and praying before the empty tabernacles with the priest’s vestments laid out. No priests, no sacraments, just prayers and weeping. No, they don’t execute priests here [yet] and like you the sight of a collar is an occasion of grace!! Grace! I pray more priests wear their collars. God bless you. Thanks for reading, Peter. Bless you.